Do you think that security vulnerabilities for WordPress are a thing of the past and “all fixed now”? Think again! 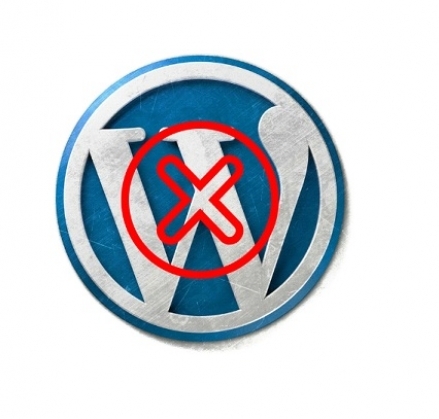 2017 is proving that WordPress is still just as susceptible to being hacked as ever before, and when we’re talking about this as being theplatform for your business website you really need to understand the risks of selecting WP as your CMS. A few years back there was also a pervading common idea circulating around that WordPress was the best website platform to build upon due to its ease of use and “SEO-friendly” ability to optimize meta tags, URL’s, images, and other attributes that contributed to search rankings. That may have been close to true at one point, but only if your website aspirations were very limited, or if you were just looking for a basic blog to post about what your cat did on a given day. But oh how things have changed. That outdated sentiment about SEO superiority was borne out of the frustration that rudimentary coders and non-coders felt in trying to build sites with php and other languages, only to find that once live, their creations now had a boatload of unfixable issues that hampered UX and SEO. So yes, in that context, WP was a big step up. The other factor contributing to the erroneous “WP is best” mindset of the past was in comparing it with its contemporary website builder alternatives of the time. Big hosting companies like GoDaddy and others offered their non-coding customers a DIY website builder that was supposed to be the ultimate work-around for not knowing how to build a website with code. The result? Terrible-looking, hardly functioning, brand-crushing disasters that appeared to have been created by lunatics who hate their customers. So yeah, a couple of years ago, WordPress was still the go-to platform for startups light on developer talent. Sadly, WordPress has also been the go-to platform for hackers to take over your websites, steal confidential information, and cripple the online portion of business. There are an average of 3 million brute force attacks on WP sites every day. This is where robots enter various combinations of user names and passwords in an effort to break into your website. Since almost EVERY WP site uses the same bloody login URL extension (and we won’t put it here because we’re nice! ), the robots have an easy time finding the front door. Compounding this security flaw is the fact that WP doesn’t limit the amount of login attempts so evildoers are free to try and try again. Now of course, not every brute force attack is successful, but due to the immense load these attacks put on servers, if you have shared hosting (as most WP site owners tend to), your host may consider you a problem child and suspend your account! Basically, with an XSS attack a bad guy will inject scripts into your WP forms which steals your unsuspecting customers’ and readers’ information when they think they’re sending it to you. WP is quite susceptible to this kind of attack. In this case the attacker gets access to your website database, files, and sensitive customer information by creating a new administrator-level user account without your even being aware. Since all WP sites use MySQL the SQL Injection is a fairly common attack faced by WordPress site owners. So many SEO-incompatibility reports (and some security woes) come from the vast amount of plugins available for WP sites. To get your site looking the way you want and with all your desired bells and whistles you may have installed up to a half-dozen “recommended” plugins – only to find that they don’t all play nicely together! One would really have to do some research on which security, contact form, malware blocker, SEO, testimonials, and markup language plugins (to name a few) are all compatible with not only each other, but the WP theme you’ve chosen! Ahhh, the Frankenstein method of open-source stick-a-bunch-of-stuff-together web design. “WordPress has automatically installed version 4.6.1.3billion…” You receive that email and you experience a mild aneurism because you know that WP updates usually wreak havoc on your site like a sledgehammer being used to fix a window. Now be sure to take an hour out of your day to test contact forms, shopping carts, logins, and all your plugins to discover if anything broke again this time! And beyond the security faults of WP sites, is WordPress really a silver bullet for SEO, especially with their being attractive website builder platform alternatives in 2017? We don’t deny that it is possible to make a very SEO-friendly site on WP, but just buying a theme from who-knows-where and picking a host is no guarantee that your digital asset will be visible online. Our list of “why nots” could go on, but you probably get the concerns by now. We’ll instead talk about an alternative you’re probably already familiar with – though you may not have experienced its full majesty yet. Another nice perk of working with this website platform is the ever-growing lineup of fresh original website themes created by the designers at Blockity. Whether you’re going for a blog, a startup informational site, or the digital representation of your burgeoning business you are going to find a sharp, responsive theme that is gorgeous right out of the box, and can be customized as you see fit. So forget about “yesterday’s technology” and move on to the safe, closed-source, SEO friendly platform of the future! Get started with Blockity here.